It’s hot, you’re miles away from home, and you just had to coast to the side of the road. If you’ve been there you know the last thing you may want when you need roadside assistance is a tow truck. Don’t worry; at Mighty Towing Huntington Beach, we’ve been there too! That’s why we are more than just a tow service. We’re here to provide all the roadside assistance you need, whether you’re out of gas, have a dead battery or could just use some help with a tire change. We know you didn’t plan to run out of gas, so why should you be stuck walking down the road looking for a gas station? The roadside assistance team of Mighty Towing brings the gas station to you with our gas filling Huntington Beach service. Anywhere in Huntington Beach you can count on us when you are out of gas; one call and our roadside assistance will get you back to wherever the road takes you. Why Call for a Huntington Beach Tire Change? If you’ve had a flat tire in Huntington Beach before—and who hasn’t—you may have handled the tire change on you own with no problem, so why call us? For one thing, a flat tire is something you can’t plan. We hope you are prepared, but what if the tire iron didn’t get put back last time? What if you are on your way to a business conference and just don’t want to show up with dirty pants? Anytime you need a hand with a tire change, give Mighty Towing a call. 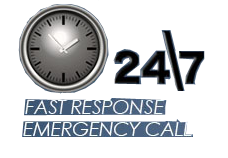 For any roadside assistance Huntington Beach give us a call and our roadside assistance team will be on their way.